"One Pakistan Air Force fighter aircraft was shot down by Indian Air Force. In this engagement, we have lost one MiG-21 Bison. Pilot is missing in action. Pakistan claims he is in their custody. We are ascertaining the facts," Kumar said. Earlier today, the Pakistan army claimed that it shot down two Indian aircraft and arrested an Indian pilot. The Pakistani Army also released a video of a man claiming to be an Indian pilot identifying himself as Wing Commander Abhinandan Varthaman. Pakistan Claims to Have Shot Down 2 IAF Aircraft And Arrested 2 Indian Pilots, Releases Video. The claim came after the Indian Air Force chased away intruding Pakistani fighter jets in Jammu and Kashmir's Nowshera sector with India shooting down a Pakistani F-16 which fell on the Pakistani side. The aircraft fell three kilometres in Pakistani-occupied Kashmir. 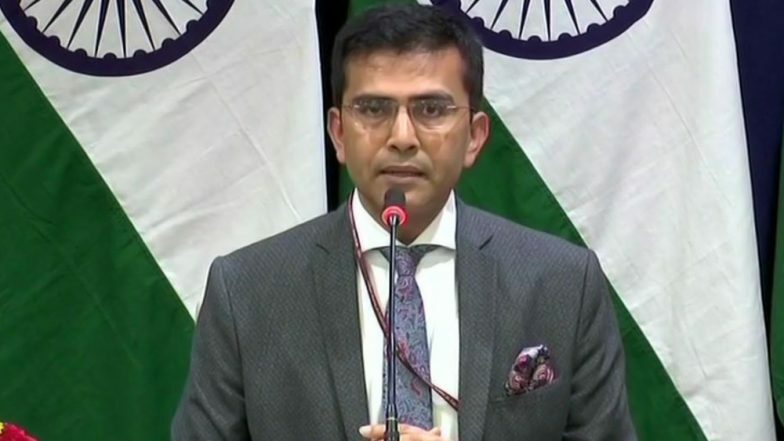 The developments came a day after the IAF carried out strikes on a Jaish-e-Mohammed training camp in Balakot, killing "a very large number" of terrorists and their trainers. The IAF strike on the JeM training camp came 12 days after a suicide bomber killed 40 CRPF personnel in the worst terror strike in Jammu and Kashmir since militancy-hit the state in 1989. The attack was claimed by the Pakistan-based JeM.